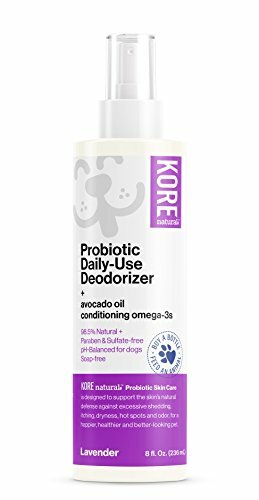 Try our Shampoo and Conditioner to complete your pet wellness plan with KORE natural. Made with Probiotics. When applied to the skin, probiotics make it difficult for harmful bacteria to take over and allow the good bacteria to flourish. Support the skin's natural defense against excessive shedding, itching, dryness, hot spots and odor, for a happier, healthier and better-looking pet. Satisfaction Guaranteed, simply return if you're not fully satisfied. If you have any questions about this product by KORE NATURAL, contact us by completing and submitting the form below. If you are looking for a specif part number, please include it with your message.